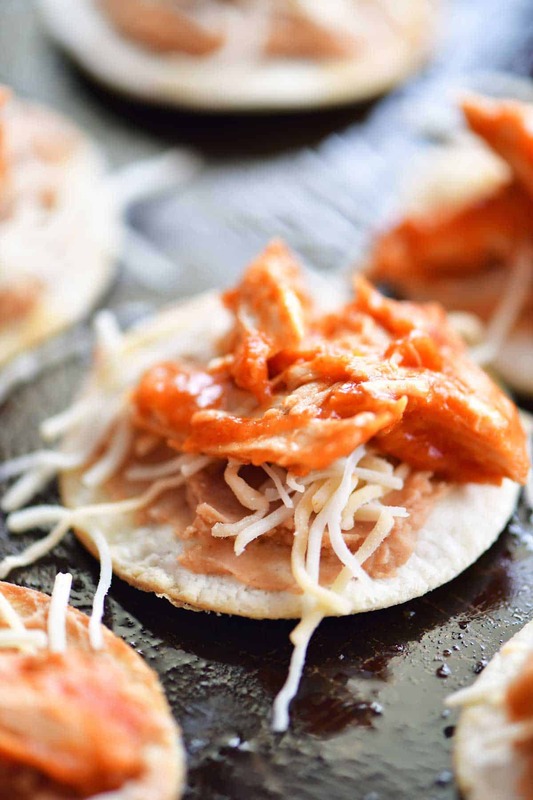 Mini chicken taco pizzas are perfect for parties or make them for a fun family dinner. 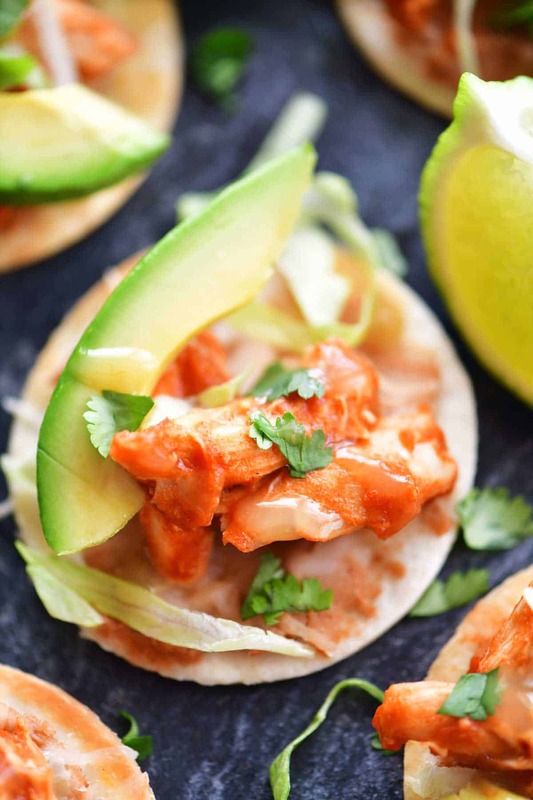 These mini chicken tacos are bursting with flavor and so easy to make! Cinco de Mayo is just around the corner and Ortega sent me a box of ingredients to celebrate! 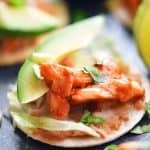 I wanted to share these mini chicken taco pizzas so that you can make them for your family too because my family totally loves them. With the large line of products offered by Ortega, there are so many surprisingly simple recipes that can make “Taco Tuesday” and other Mexican meal celebrations even better. You can also add unexpected Mexican flavors to recipes you already have adding a fun twist to a classic. The 5 Sauces of Cinco are the five Ortega taco sauces: mild taco sauce, medium taco sauce, mild green taco sauce, smoky chipotle taco sauce, and hot taco sauce. Choose your favorites and enjoy some delicious Mexican food at your Cinco de Mayo party! 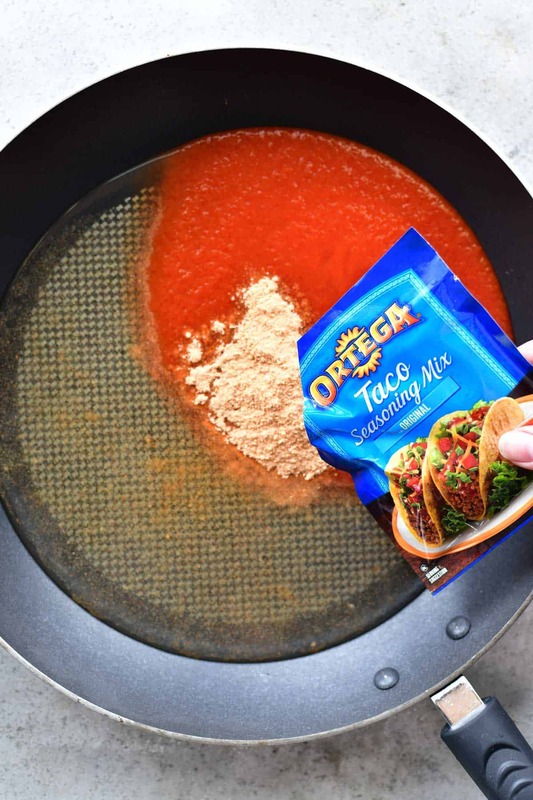 Put water, tomato sauce, and Ortega Taco Seasoning Mix in a large skillet and mix to combine. 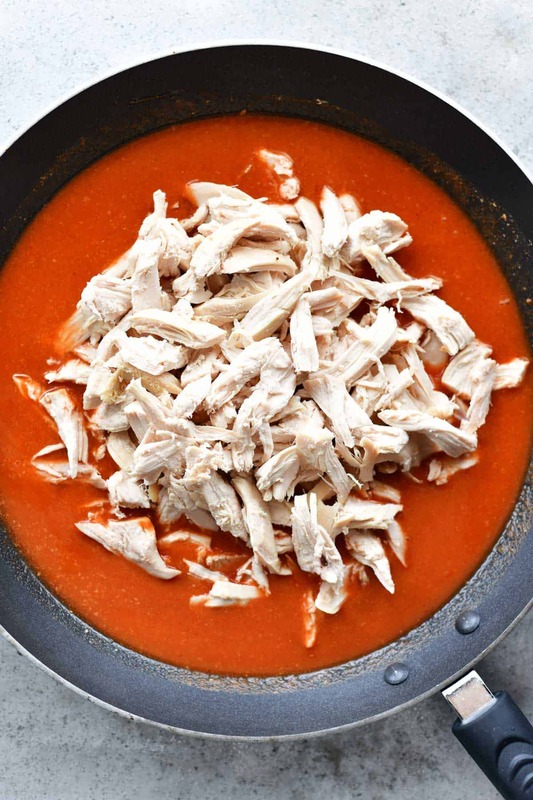 Add cooked, shredded chicken to the sauce and stir to coat. I used a rotisserie chicken to make things super simple. Bring to a simmer over medium heat stirring until the sauce is thickened and heated through. 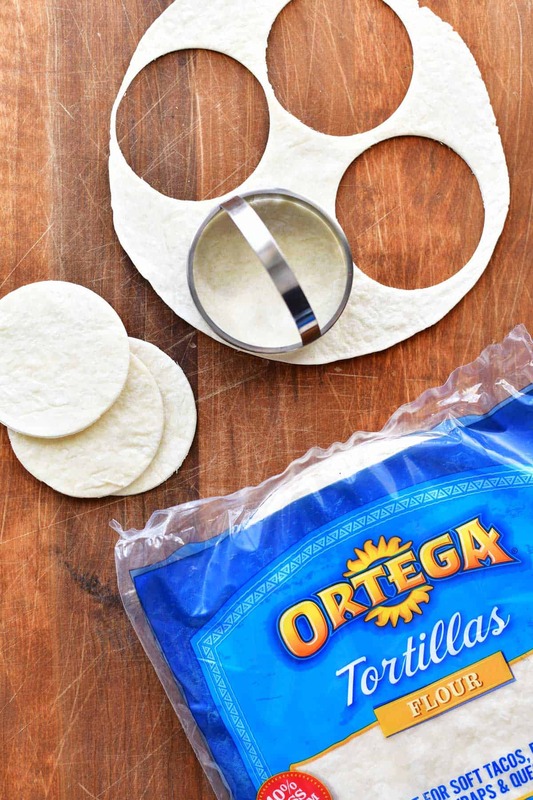 Use a round cookie/biscuit cutter to cut four mini tortillas out of each Ortega Flour Tortilla. 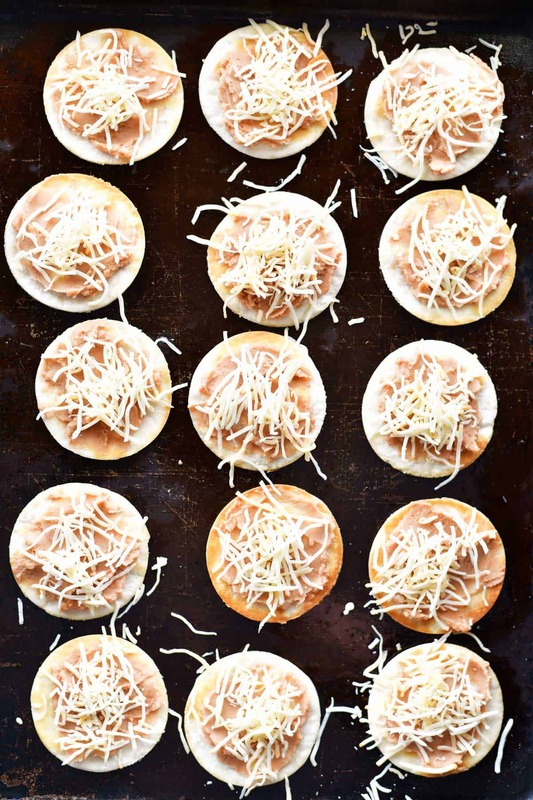 Line up the mini tortilla on a large baking sheet and brush both sides with olive oil. Bake at 425°F for 2 minutes. Flip and cook for another 2 minutes on the other side. 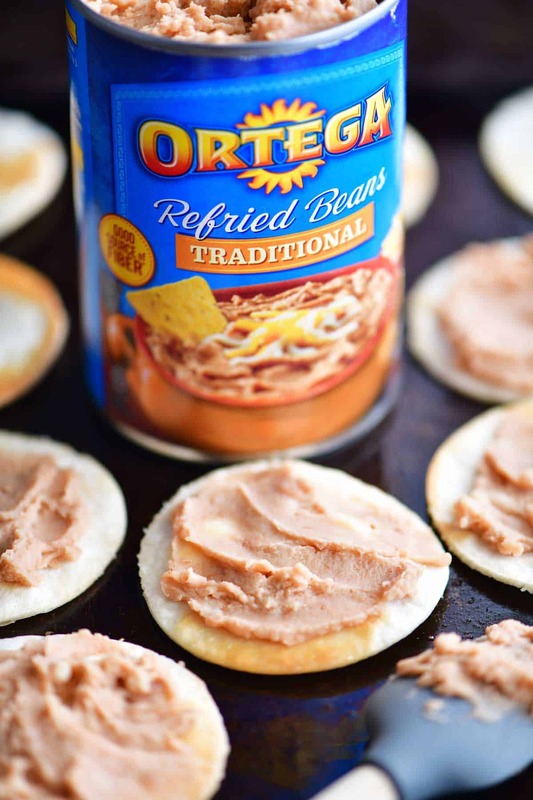 Spread Ortega Refried Beans over the toasted mini tortillas. Top with shredded Mexican cheese. I used a store-bought blend of queso quesadilla, asadero, queso gallego, anejo enchilado and manchego cheeses. Add a pinch of the saucy chicken taco meat to the top of each mini taco pizza. Remove from the oven and top with a slice of avocado, shredded lettuce, and chopped cilantro. 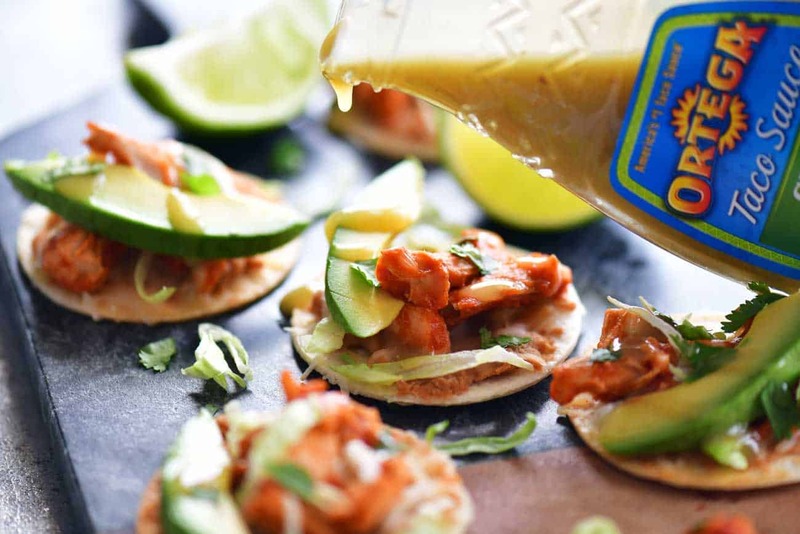 Drizzle the mini chicken taco pizzas with Ortega Green Taco Sauce. Finish the mini chicken taco pizzas off with a drizzle of freshly squeezed lime juice. I already made these mini chicken taco pizzas for my mom’s birthday party and I can’t wait to make them again for Cinco de Mayo! 1. Can I make these bigger? 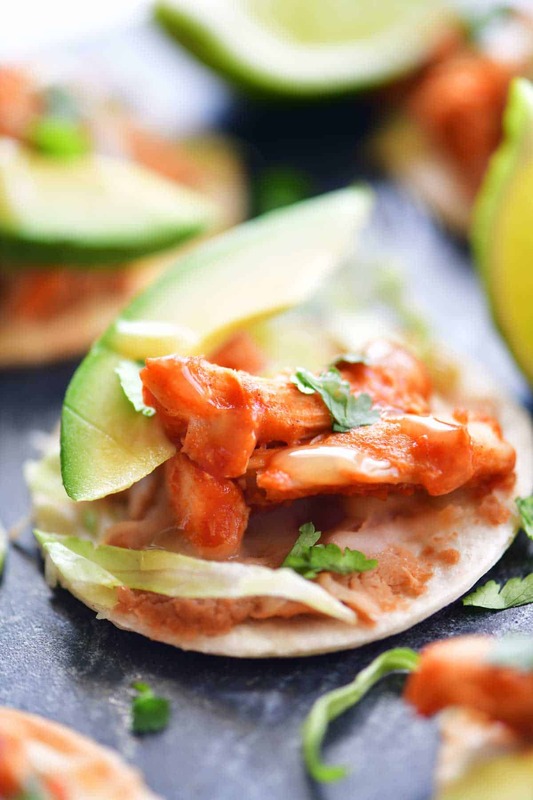 These mini chicken tacos are perfect for serving at parties and celebrations such as Cinco de Mayo but you can make a larger size for Mexican meals for your family. I’ve made both sizes and found that although the mini tacos take a bit longer to make, they are a million times easier to eat! To make larger chicken taco pizzas, skip the step of cutting the tortillas and follow the rest of the steps in the recipe. 2. Can I substitute the chicken with another meat? Yes! These mini taco pizzas would be delicious with ground beef, shredded beef, or shredded pork. 3. Do I have to add tomato sauce to the chicken? 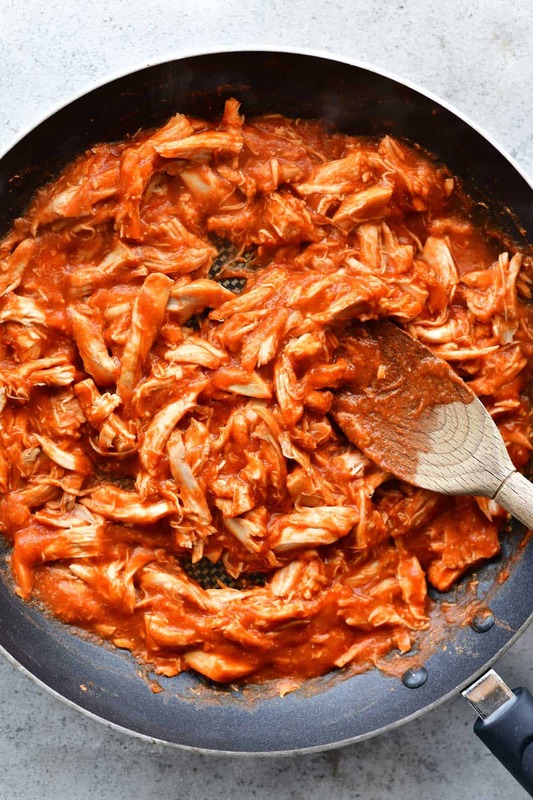 No, you can make the chicken taco meat using only shredded chicken and taco seasoning. 4. How can I make this recipe spicier? Choose a hot and spicy taco seasoning mix, add diced jalapenos, choose hot and spicy refried beans, and use a hot taco sauce. 5. Are there any other toppings that can be added? Definitely! They would be fabulous with additional toppings. Here a few suggestions: salsa, sliced tomatoes, diced onions, black beans, guacamole, and sour cream. 6. 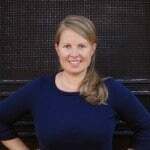 How do I deal with picky eaters at your Cinco de Mayo party? 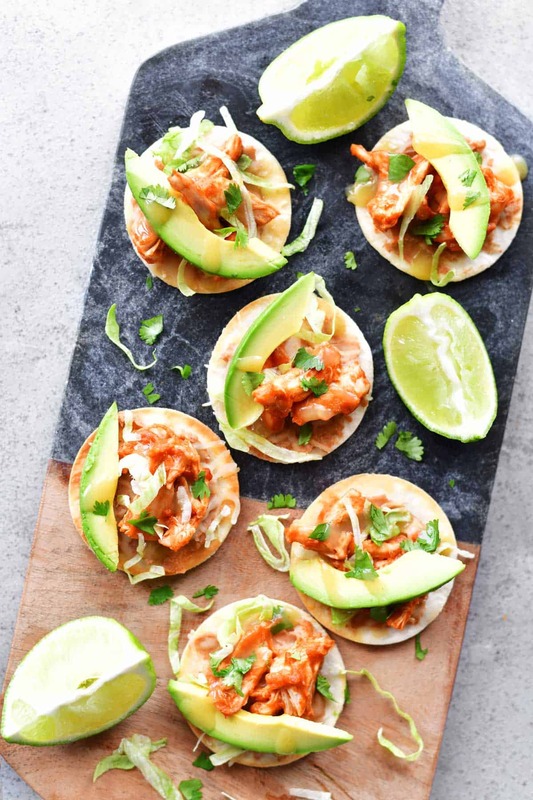 Make these mini chicken tacos pizzas plain and then put the toppings out in small bowls so that everyone can add what they like. 7. Any suggestions for making a lighter version? 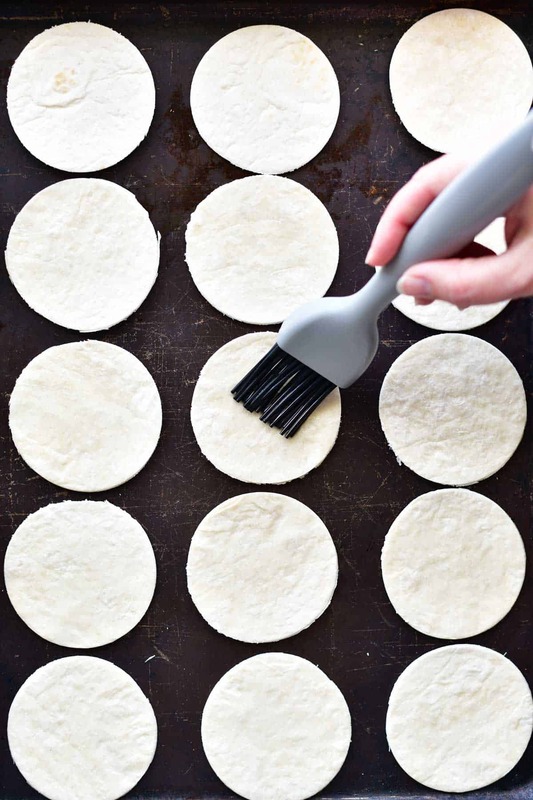 Instead of brushing with olive oil, spray the mini tortillas with cooking spray. Use low fat or skim shredded cheese, fat-free refried beans, and skip the avocado. 8. I don’t have a round cookie/biscuit cutter. What can I do? Use scissors to cut out the circles. Fold the tortilla in quarters and then you can cut four at one time. Line up the mini tortilla on a large baking sheet and brush both sides with olive oil. Bake at 425°F for 2 minutes. Flip and cook for another 2 minutes on the other side. Spread refried beans over the toasted mini tortillas. 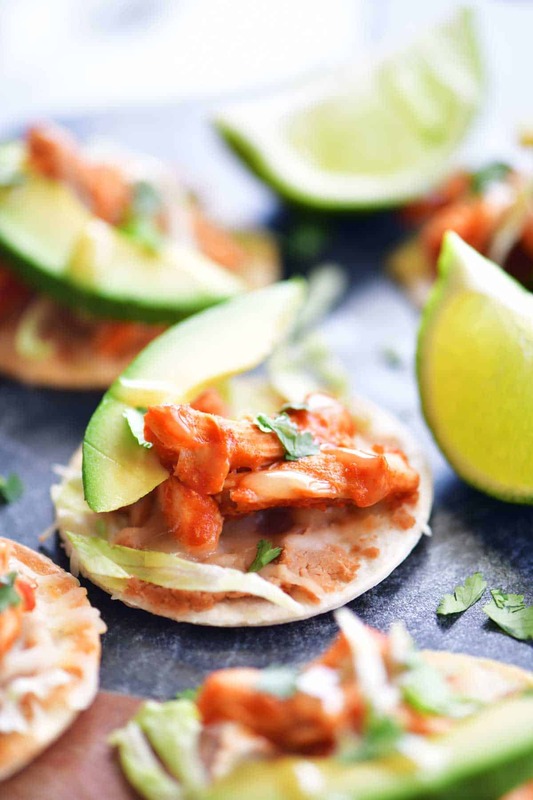 Drizzle the mini chicken taco pizzas with taco sauce and freshly squeezed lime juice. These pizzas are delicious & fun! Enjoyed eating them @the birthday & can’t wait to make them for my family!